The last few weeks I’ve managed to squeeze out a few good runs in the sun (even on some cloudy, chilly days) so I’m not about to complain too much. 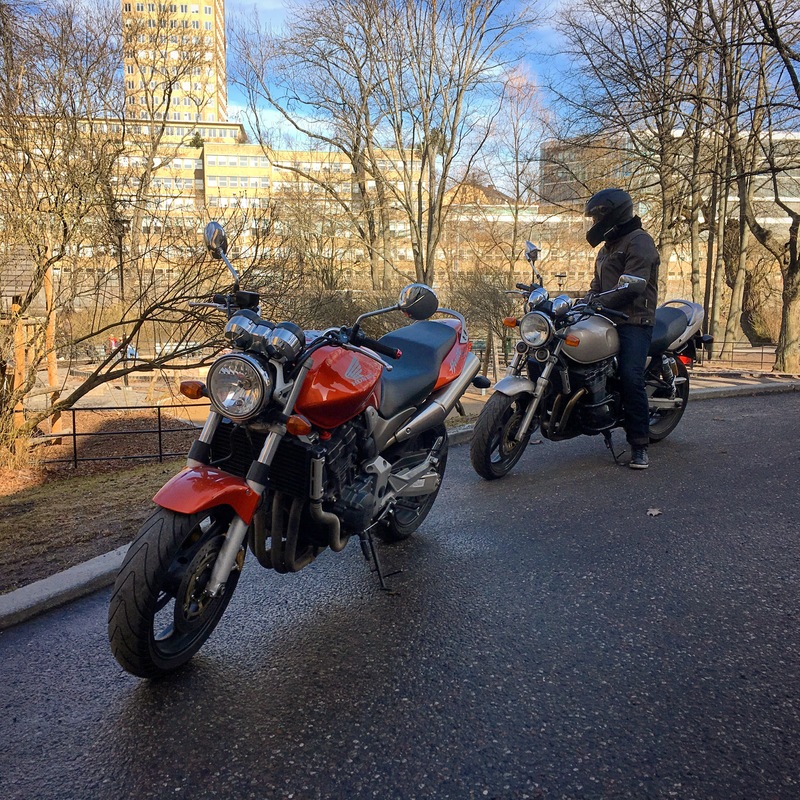 You can feel the spring in the air but still, waking up to what you expected to be a good riding day only to see that heavy snowlike rainfall is like a kick to the groin. After a winter with a lot less bikes than usual in my life, I am eager to get going. 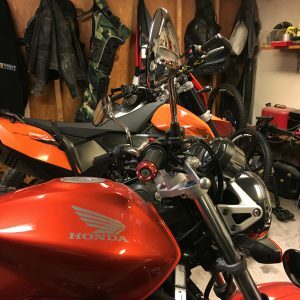 Yesterday I started working on my ever transforming project bike again. The Beast. CBR 600 in its heritage, a free spirit in its current state. 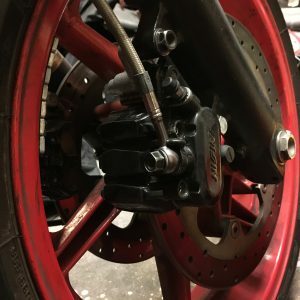 I am about to do the installation of the Smart Turn-system for automatic flash signals but to be able to try it, the bike needs to be in running state and I still have to do that front brake maintenance. Which I got around to to do yesterday. It feels good to be wrenching again. I had forgotten the satisfaction you get from just putting a bolt into place. I can feel myself entering the almost manic mode of the biker now. Browsing bikes online, scouring every site in the hunt for a new project, reading up on concepts, reviews and such. That feeling you get when you roar off at a street light is almost unimaginable until it takes over. Then again, yesterday I almost slipped and fell on some really slippery cable car rails which brought me down from the high immediately. Anyways, that’s in the past now. Things to do this week then: Bleed the brakes and replace all the fluids. Install the Smart Turn-system. Fabricate a seat. How hard can it be…?